Ginge is the original “chatty man”! As well as being very handsome, he loves lots of fuss and attention and is very vocal in letting you know. 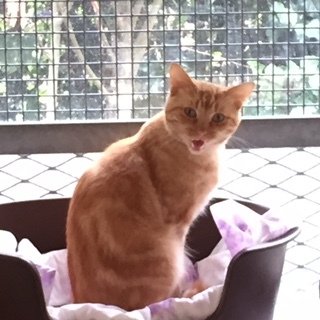 Ginge has lived with other cats and dogs as well as young children, he was signed over to us when his family could no longer look after him and his siblings. This lovely boy will be an active addition to any family, he has been neutered, microchipped, vaccinated, vet checked and given flea and worm treatment.